Enjoy the scenic beauty and beautiful landscapes with spectacular mountains, and store up some of the most valuable memories of your life. Upon arrival at New Jalpaiguri railway station (Siliguri) or Bagdogra Airport (Siliguri), you will meet our representatives, who will further transfer you to a hotel in Gangtok. The evening will be free for leisure. Also, you can indulge in some shopping and pick some handicrafts, handlooms, and souvenir. Kickstart your day with a hearty meal as today is going to be a fun day. 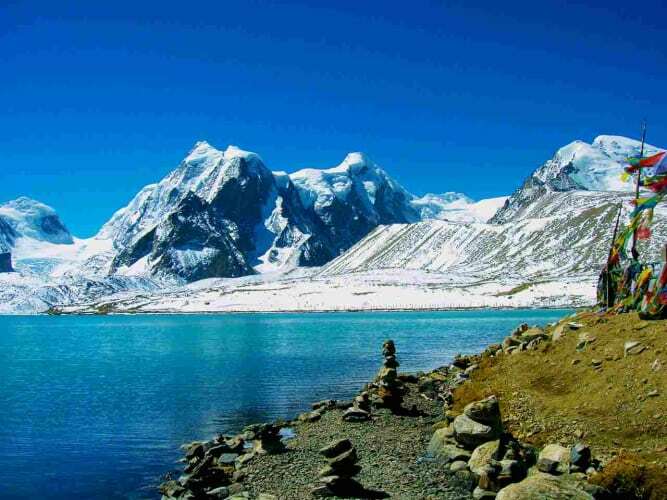 According to your pre-decided schedule, you will be visiting Tsomgo Lake (12,400 Feet), a high-altitude lake that is sacred to both Hindus and Buddhist. After spending few minutes at the lake, you will visit the Baba Mandir (13,200 Feet). Dinner and Overnight stay at Gangtok. If permit avail then you can proceed for Nathula. After an early breakfast we will proceed to Lachen. The route meanders through small villages with valleys upto forest grove of Kabi Langchuk. 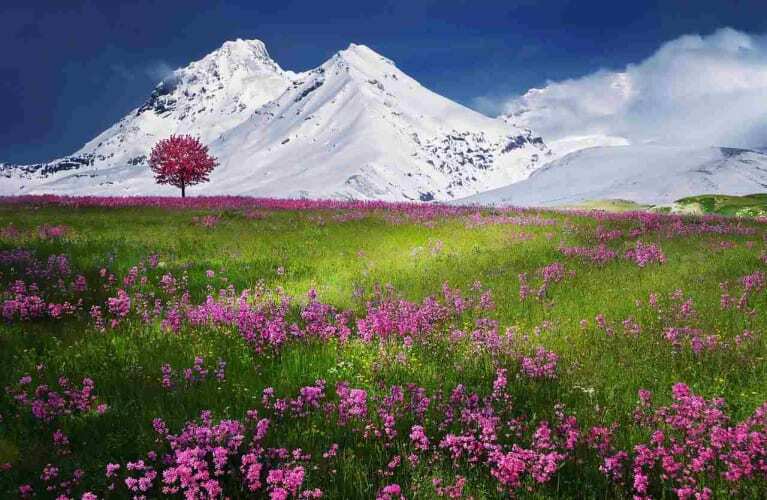 Shinghik comes next with its promises of one of the most glorious views of Kunchanjungha. Situated at an altitude of over 4000ft Singhik offers a desired break to the travelers on the way to Lachen . We will have our lunch on the way. Visit Chungthang- the confluence of Lachen Chu and Lachun Chu (river) and Vimnala falls water falls on your way to Lachen. Reach Lachung in the late afternoon. Lachen is also a base for the popular Green Lake trek. From Chopta Valley drive for another 30kms in 1.5hr to Gurudongmar Lake (5225m / 17143ft) close to Tibet Border), the one of the highest and biggest fresh water lakes in Sikkim and back to Lachen for a late lunch. Check out from Lachen and drive further to Lachung via Chungthang. En route visit Chungthang confluence of Lachen Chu and Lachun Chu and Vimnala Water Falls. Check in at hotel and enjoy a comfortable overnight stay. Early morning drive to Yumthang Valley, an alpine flower valley in North Sikkim. Enjoy the scenic landscape and hot Spring (and drive further for 30kms to Yumesamdong (4725m / 15503ft) or Zero Point close to Tibet Border subject to availability & on direct payment basis), one of the highest motorable roads in Sikkim. Full day excursion to Yumthang Valley. Lunch at hotel in Lachung. In the evening arrive at Gangtok and check into the hotel. Personal Expenses such as Laundry, telephone calls, tips & gratuity, mineral water, soft & hard drinks, & porterage.